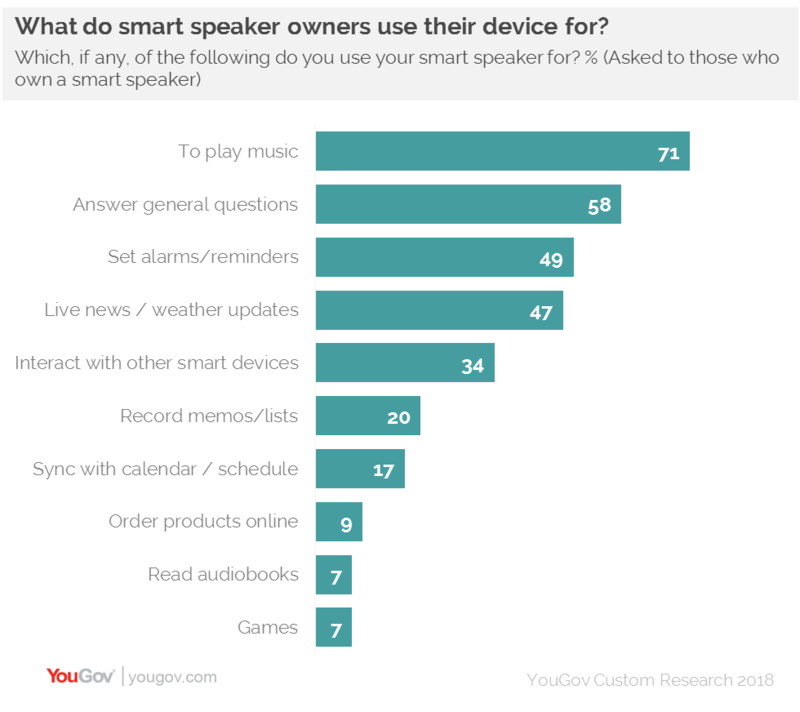 April 19, 2018, 8:46 a.m.
​Smart speaker ownership among Britons has doubled since last autumn, new research from YouGov shows. YouGov’s Smart Speaker report indicates that while just one in twenty (5%) Brits owned one of the devices in Q3 2017, the latest research carried out in Q1 2018 shows it has doubled to one in ten (10%). The study shows that while Amazon remains the main player in the industry its market share is shrinking as new entrants come into the sector. Currently, Amazon smart speakers (which use the ‘Alexa’ digital interface), such as the Echo, make up three quarters (75%) of the market, but this is down from 88%. Close to one in ten (9%) smart speaker owners now have a Google Home Mini, 7% have a Google Home (full size), while 2% have an Apple Home Pod and 1% own a Sonos One. However, the study finds that there is not an overwhelming demand from the public for smart speaker, with just 5% of the UK population being in the market for one. 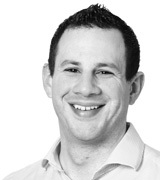 However, among those who are looking to buy a device, four in ten (41%) expect to get it within the next six months.